Wrapping up our awards season, the winners of our Documentary, Art, Photobook and Young Portfolio categories were announced at the opening of the Awards exhibition at Objectifs on 26th July 2018. Singaporean photographer Huiying Ore’s The Golden City Of Boten, an excerpt from her long-term documentary on Laos, wins our Documentary Award. Mumbai-based photographer Harikrishna Katragadda wins our Art Award with You Can’t Step Into The Same River Twice, his cyanotype series on the pollution of the Ganges river. Filipino photojournalist Veejay Villafranca’s debut publication on climate change SIGNOS wins our Photobook Award. 24 year old Thai artist Harit Srikhao wins our Young Portfolio Award with WWMM (Whitewash 2015-16, Mt. Meru 2017), a surrealistic meditation on memories and politics. Burmese photographer Minzayar Oo wins a Special Mention with his triple finalist results (Documentary, Photobook and Young Portfolio categories) for The Price of Jade & Peace Be With You, his work on the jade mines in Kachin and displaced Rohingya Muslims living in IDP camps. 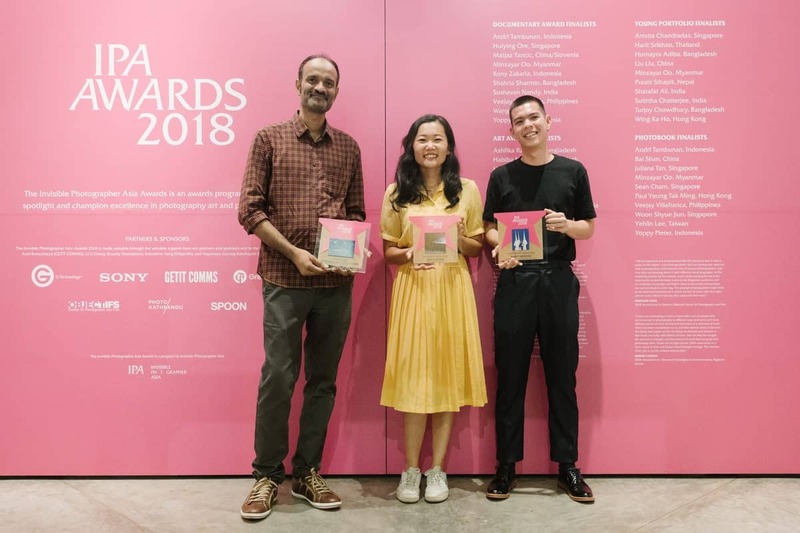 Ore Huiying, Harit Srikhao and Harikrishna Katragadda were present at the exhibition opening and received winning certificates and prizes from awards partners G-Technology AP and Sony Singapore. We would like to thank all our partners and sponsors for making our 2018 awards a success and to our jury panel Jessica Lim, Robert Godden, Emmeline Yong, Wang Xi and Kevin WY Lee for their valuable support. The Awards Exhibition featuring winning and finalists works from all over Asia is now showing till 12th August at Objectifs Centre for Photography and Film, 155 Middle Road Singapore 188977.